A lot of people shy away from home telephone wiring. They may think that they are not allowed to touch the existing ones. This is not so. Your local phone company will come and do your wiring for you, but it will cost you. Wiring a jack is not difficult and it is totally fine to add a new jack or internet phone jack to your system. 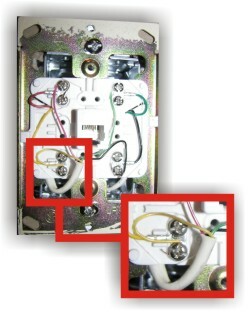 You should disconnect the main phone line from the source before continuing wiring a phone jack. The phone line usually comes in by your electrical panel. There will be a small box with a phone line going in and coming out. This is called your "Connecting Block". Carefully remove the cover and disconnect the wires noting where you removed them from. TIP: You can take a digital picture of the box so you can refer back to it when you want to re-connect! These instructions assume that you have already run the home telephone wiring to the new location. All you need to get started is a screwdriver, a pair of needle nose pliers and a wire stripper. Depending on how old your wiring is, you just need to match colors. Ready to do your own home telephone wiring? Use your wire strippers to remove about 1/2" of casing. Make a small "hook" in the wire with the needle nose pliers and place the wire under the screw. Make sure the wire is wrapped around the screw in a clockwise direction so it will stay under the screw when you tighten it. Now that you have your phone jack wiring complete, you must now hook the telephone wire up to the connecting block. Again, depending on the age of you home, the conecting block could be as simple as two screws. A red and a green. Connect the red wire (or blue/white) to the red side and the green (or white/blue) to the green side. If you have a newer connecting box (I beleive they are called R66 Connecting Block or a 2 Pair Connecting Block) just find an empty pair of screws and connect the wires in. Here is a short list to help you troubleshoot your phone jack installation. Static could be from loose connections, a pierced wire or even if the wiring has been wet. Check all your connections carefully. This is usually from a short in the phone wiring. Maybe you stripped too much of the casing off and the copper from different colored wires is touching. Again, check all your connections carefully. 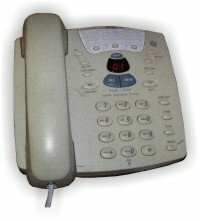 The phone wire may be too close to a power wire or touching some metal. Also check that all the colors are matched properly. So ends the do it yourself guide to basic home telephone wiring. If you require something more complex, contact your local phone company for assistance.